Product information "FIBARO Flood Sensor"
It rains for a few days and water flooded the basement? Flood Sensor will send you information about the incident as soon as the first drops are detected. From now on, you can always react very quickly to prevent serious damages. FIBARO Flood Sensor is the most beautiful and functional flood sensor ever made. Z-Wave compatible FIBARO Flood Sensor will protect your home from water leaks and flood. Flood Sensor design to be placed on a floor or wall. 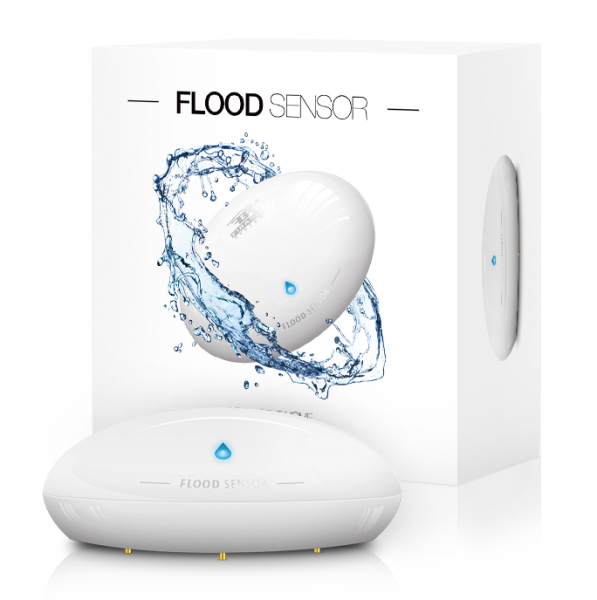 Related links to "FIBARO Flood Sensor"